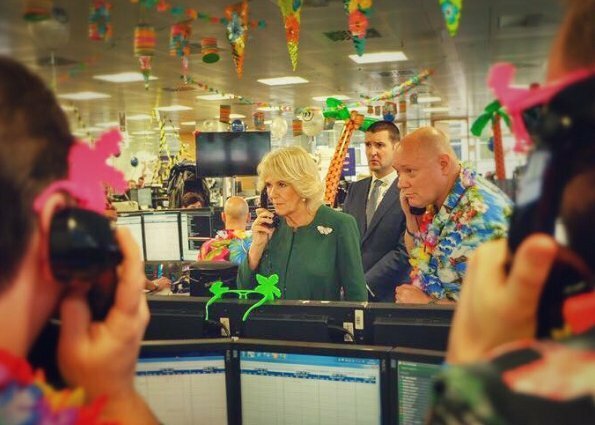 On December 5, 2017, Camilla, Duchess of Cornwall attended the annual ICAP charity day event at ICAP in support of Medical Detection Dogs charity. Medical Detection Dogs trains dogs to detect the odour of human disease. 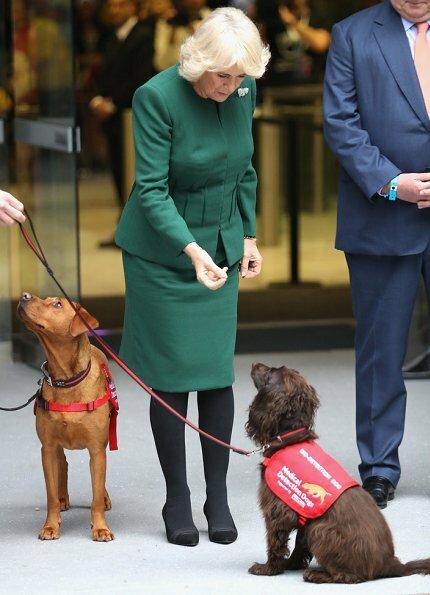 The Duchess of Cornwall is the patron of Medical Detection Dogs Charity. Love the fourth picture, she looks so good and radiant in it. Nice pictures. I don't envy you Camilla. Most of the people don't love you, blinded by love for Diana. They made a Goddess out of her and blame everything on you. I am an older woman and I see you and Charles are making each other happy, despite all the haters who can never forgive and think ONLY YOU are the reason of her death. While your mother in law choose to reign forever you and your husband are growing older and more tired. You are doing a good job. Some people have no compasion and no life of their own. Noon en Len, I do not know what you are talking about. I for one do not hate Camilla and I do not know anyone who does so, why do you call other people "haters"? And I never thought Camilla is the only reason of Dianas death. Charles and Camilla both are liars who have betrayed a young and innocent woman. That is a fact. I do not think Diana was a goddess, but I liked her a lot. And: Diana was not the only one who suffered so much from the lies of Charles and Camilla. I do not know how Camillas Ex-husband felt and how her children felt but they surely were not happy. 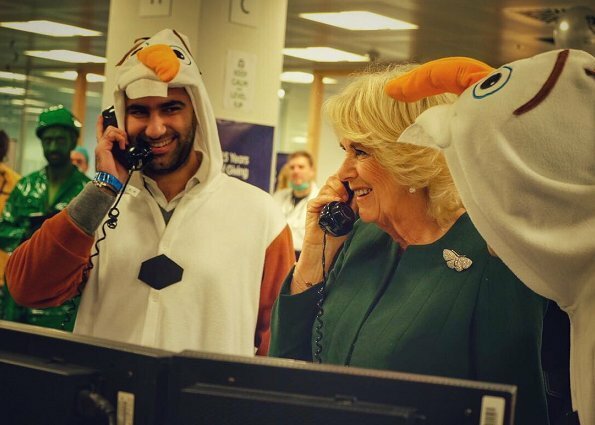 I didn't read the comment as specifically directed at anyone here, but rather as a general observation - Camilla and Charles have a lot of vitriol directed at them. 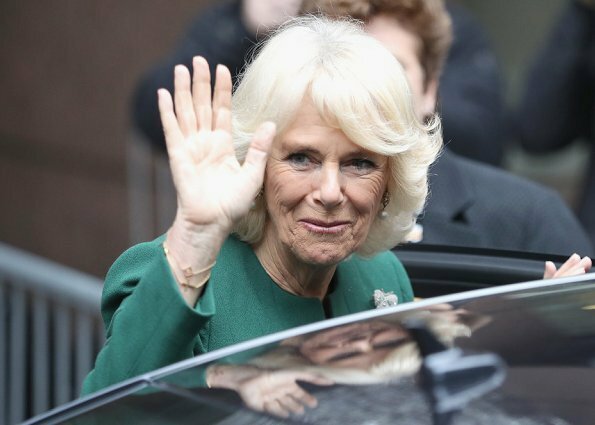 Also, Camilla's ex-husband was also a philanderer and Diana wasn't concerned about the wives of two of the at least six men she had affairs with. She wasn't as innocent as is often said. Many shades of grey involved in a rather sad and shabby story in which no-one comes out looking very good. Coralie; What I know about Camilla´s ex husband, he was really a serial cheater far before Camilla and Charles did anything. They all tree, Diana, Camilla and Charles were victims of old fashion thinking to pic spouse to king. Diana and Charles should have never married, they had nothing common together. Diana was well capable to play her own part of lying, cheating and manipulating. She was not at all such an innocent person you keep her. She was very much troubled person really and was never able to support Charles in any way. Of course her destiny was so sad, but she was as much or even more to blame herself of all that media play what went so seriously wrong at the end. Another green -perfect choice before Christmas. I see wonderful fitting and tailoring in the top of this green suit. Look at all of the seams coming from the shoulders and on the sleeves. My goodness, it is great to see something so well-fitted. Too bad so many others seem to take whatever they wear from "off the rack," instead. 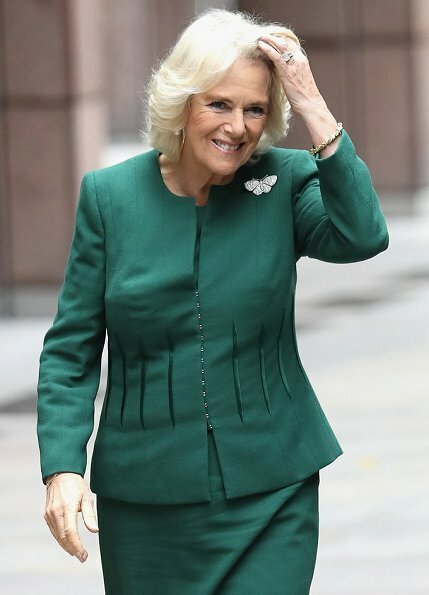 Camilla looks absolutely amazing in this outfit in green. Camilla could go to an undergarments shop and be fitted for better brassieres.